The Committee for a Workers International (CWI, of which the British section is the Socialist Party of England and Wales, SPEW) is a right centrist group of Trotskyist origins. The same is true of the International Marxist Tendency (IMT), of which the British section is Socialist Appeal (SA), which shares a common political heritage with the CWI in the person of Ted Grant, who developed the theoretical and political perspectives of both international groups from the late 1940s. 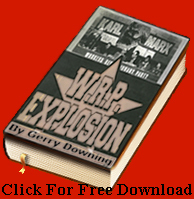 Grant’s basic political error is a failure to understand the state, either the capitalist state or the former degenerate workers’ state of the USSR or the various deformed workers’ states of Eastern Europe, China, North Korea, Vietnam, Laos and Cambodia/Kampuchea and Cuba as they emerged after WWII. Ted Grant characterised a whole swath of left bourgeois nationalist regimes as deformed workers’ states basically because he crudely equated nationalisation with socialised property relations (socialist planned economy) and he did not understand the Marxist theory of the state at all in his later years, a point we shall deal with later. The Grantites therefore fail to understand or accept that the state under capitalism is the prime instrument of class oppression which has to be overthrown in revolution by the working class. Under pressure of long-term deep entryism in the Labour party this has led them to take a reformist position of socialism through parliament via an Enabling Act and to misidentify the forces of the capitalist state, the police, the army and prison officers as workers in uniform; just more state employees who are therefore entitled to form trade unions and be represented by their chosen shop stewards like any other workers. They see no problem whatsoever with the Prison Officers Association (POA) being part of the workers’ movement, when in reality these state forces should be expelled from the TUC. Their historic and ongoing role in torturing Republican prisoners in the north of Ireland without a word of objection from the Grantites reveals their true relationship to the capitalist state. In their defence they plead that the Enabling Act orientation is merely a transitional demand used to mobilise the working class and that the demand to unionise the state forces is, in fact, a clever Marxist tactic to split the army and police in time of revolution. So instead the revolution being the act of the working class itself led by the revolutionary party overthrowing the capitalist state it is the act of a left socialist government, Labour left in the case of the SA or some other left government like the Trade Union Solidarity Committee or maybe the No to the EU in the case of the SPEW. The role of the working class then is to defend the revolutionary nationalisation of the ‘commanding heights of industry’ which the ‘revolutionary’ government has already carried out. If the Trotskyist are a majority in this government the result is a healthy workers’ state, if they are a minority it becomes a deformed workers’ state. Of course we do not advocate such tactics as Lenin advocated above today but it is instructive to note that neither Lenin nor Trotsky regarded the state forces as workers in uniform in any way at all. It is a different matter when whole sections of an army or of the police begin to come over to the side of revolution. But then they cease to be state forces and became anti-state forces on behalf of the revolution. In a polemic in 2006 against ‘Michael’, who subsequently split to join the International Bolshevik Tendency, iii Lynn Walsh relied heavily on the attitude of Marx to the state and Transitional demands in Germany in 1848, quoting from the Communist Manifesto and the later, Demands of the Communist Party in Germany (1848). iv What he neglects to tell us is that the ONLY point in the Communist Manifesto that Marx felt obliged to alter is on the question of the state. Strategy for Revolution in 21st Century tells us. The IBT replied to this at length in an orthodox Trotskyist document, Marxism vs. ‘Militant’ Reformism, vi with which there is little to disagree and whose arguments we therefore do not need to repeat. It serves as a useful supplement to this document, apart from obvious differences in method of approach to the working class. Failure to understand the Marxist theory of the state was the specific weakness peculiar to Grantism that led to the collapse of that tradition into right centrism in the late 1940s and early 1950s with the rest of the Trotskyist movement. In fact Grant was much better than most other groups in rejecting the capitulation to the political opportunism of Michel Pablo, the post war central leader of the Fourth International, in regard to Yugoslavia at that period, as we shall see later. According to the Daily Maverick (15 October), a meeting of wildcat strike leaders took place in Marikana, representing miners from several provinces. The article noted in particular the presence of the Democratic Socialist Movement (DSM), which has been active in the Rustenburg area. The DSM says that a national strike coordinating committee was launched on October 13 and that the committee is calling for a general strike on November 3. On October 19, Vavi and NUM officials were pelted with rocks by striking workers at AngloGold Ashanti’s mine in Orkney, North West Province. Earlier, several DSM members were detained by mine security and grilled by police after addressing the strikers. The workers movement must defend the DSM and all others victimized for their role in the miners struggle! However, mineworkers and others need to be aware of the thoroughly opportunist history of the DSM, which is affiliated to the Committee for a Workers’ International (CWI [in Canada, Socialist Alternative]) headed by Peter Taaffe. The Taaffe group formed the Marxist Workers’ Tendency of the ANC, remaining inside this bourgeois party until 1996. In a speech in New York given shortly after the 1994 elections, Taaffe, then the leader of the British Militant Labour Tendency, opposed the call for a workers’ party, saying: “The working class in South Africa has to go through the experience of an ANC government. The slogan of a workers’ party was an incorrect slogan in the period prior to the elections in South Africa. We wanted the biggest possible ANC majority” (WV No. 602, 10 June 1994). The DSM emerged from its entrism inside the ANC when the latter’s “national liberation” credentials were starting to wear thin as a result of economic policies aimed at reassuring investors. Indeed, few if any left groups persist in uncritically cheerleading for the regime and its leaders, who are unashamedly riding the “gravy train.” But the DSM, like the other reformists who hitched their wagon to the Tripartite Alliance, maintains its class-collaborationist politics, which are at bottom the same as those of the SACP and COSATU tops. This can be unmistakably seen in the DSM’s attitude toward the state (see the 1994 Spartacist pamphlet, Militant Labour’s Touching Faith in the Capitalist State). Just like their reformist big brothers, the CWI/DSM believes that the police are part of the workers movement. One can cite any amount of evidence disproving this suicidal illusion, the cop massacre of miners at Marikana being an obvious example. In the wake of that event, the DSM, in a 17 August statement titled “For a General Strike to End the Marikana Massacre,” violence-baited the Lonmin strikers, rebuking them for “killing first two security guards, on Saturday, and then two police officers on Monday” (quoted in a 23 August SSA statement published in WV No. 1007, 31 August). Now, in a 16 October statement, the DSM refers to a wave of workers militancy sweeping through the country, which supposedly includes “the police as well as the municipal workers”! Of the Taaffeites, it can truly be said that they have learned nothing and forgotten nothing. The police, black and white, are enforcers for capitalist rule. We say: Cops, prison guards and security guards out of the unions! So here we see that the policeman protects the property of the bourgeoisie against the worker as his central task, according the Marx. But there are all forms of state, the democratic, the totalitarian, the fascist and there are workers’ states. And it was on the analysis of the new workers’ states that appeared after WWII that Grant displayed both his adherence to certain Trotskyist principles and his weakness on the state. It is widely acknowledged outside his own ideological circles by any that are willing to make a serious objective assessment that his defence Trotskyism’s heritage on both Yugoslavia and China in 1949 were principled and correct in so far as they went. This is the sentence that leaps out at you from that article: “Nevertheless, the strike also demonstrated in a distorted form and on a reactionary issue, the colossal power of the working class when it moves into action.” Who would express such admiration for a neo-fascist uprising? Would we admire the strength and discipline of Hitler’s Brownshirts because this showed us what these workers could do if there were socialists and not fascists? And remember the material basis for discrimination in the north of Ireland. Here was the real aristocracy of labour that was originally gathered in 1795 in the Orange Order, whose declared purpose in its initiation oath is still to “counter-revolution”. “Nothing moved in Northern Ireland without the permission of the working class” cannot but choke you. This “nothing” is primarily other workers, Protestants who had solidarity with nationalist workers and nationalist workers themselves who were assaulted with fascistic enthusiasm by Loyalist thugs with the covert assistance of the British Army and the not-so-covert assistance of the Royal Ulster Constabulary. The various bourgeoisies, from the Irish pro-Imperialists to the bedrock of Imperialist orthodoxy in the columns of The Times, of course, were not hostile to this strike, supported it but had to be careful in how they expressed their support, as Militant were. Hence the mutual admiration between Militant and the pro-Imperialist bourgeoisie here: “Isn’t it great to have the workers going on strike for us instead against us for a change?” is the common theme here supported by Militant. Those in South Africa will recall Mangosuthu Buthelezi’s strikes against the ANC in KwaZulu-Natal. Do we all remember how supportive The Times were to the 1926 General Strike and how it complemented the workers on their ingenuity etc? We though not! So workers participating in a reactionary fascist attack on other workers demonstrated the colossal power of the working class! This is the most outrageous sentence we have ever read for a group which claims to be socialist. It is true that an earlier article, whilst bad, was written in Ireland and at least had some clear opposition to the strike. But that was the very reason for the strike, they feared the “Catholics”, in fact all the political opponents of British Imperialist occupation of the six north eastern counties of Ireland, would gain a measure of equality, they would be forced to stop discriminating against them and within their own ranks “Rotten Prods” would emerge to show solidarity with the nationalists and anti-imperialists, as they did in the late teens and early 1920s. This labour aristocracy was not going to yield its privileges to anyone because they knew that covertly the entire British establishment supported them, including the trade union bureaucracy and the Labour party, whose left flank was guarded so assiduously here by the pro-Imperialist Militant Tendency of Ted Grant. The strike was to stop the possibility of the nationalist community gaining that limited measure of equality and its success guaranteed just that for another generation at least. The power of the working class was exercised to prevent workers unity and the Socialist party, whilst advocating unity, believes it can only be on the basis of the support for the British Empire. They are THE most pro-Imperialist sect on the left. This is a complete lie. This utterly shameful article, still proudly displayed in the archives of the SP/CWI, displays this as a political current prepared to go to all lengths to defends the interests of British and global Imperialism, and covering this up with a thin veneer of leftist pseudo-Marxist gobbledegook. Whilst the total numbers involved are relatively small there is no doubt that the issue has acted as a lightning rod for widespread dissatisfaction with the peace process which has built up over time in the Protestant community. There is real and genuine anger among large layers of Protestants. There is a sense that “everything is going in one direction”, that is, Protestants are losing out to Catholics. In the view of many Sinn Fein are pushing too hard for concessions-as Progressive Unionist Party (the PUP is linked to the UVF) leader Billy Hutchinson has argued “Sinn Fein are acting outside the spirit of the Good Friday Agreement”. This is the reason that the PUP have given for reversing their previous conciliatory approach on the flags issue. A banner displayed in the Mount Vernon, where Hutchison works as a community worker, proclaims “North Belfast Against Cultural Apartheid”. The stuff that “the Protestants” believe is completely false however as the article goes on to explain. They are blaming “the Catholics” who are sufferings a great deal more than themselves. At the same time many Catholics continue to believe that they are subject to sectarian discrimination. They hold that they are dealt with more harshly by the police. They believe that they are more likely to be poor and unemployed than Protestants for historic reasons, reasons of geography and because of the residues of sectarian discrimination, there are still differences between the two communities in economic terms. The poverty rate among Protestants at 19 per cent is lower than the 26 per cent rate for Catholics. In the three years to 2010 on average, 28 per cent of working-age Protestants were not in paid work compared with 35 per cent of Catholics. The views expressed in each community are sometimes true, or partially true. Sometimes however genuinely held beliefs are simply not true. The reason that such a complex situation can arise is that there are genuine interwoven grievances on both sides. The real problem is that the peace process has failed to deliver for working class or young people whatever their background. The peace process has failed because under capitalism genuine peace, and real economic advancement for working people, is not possible. Under the structures established by the Good Friday Agreement it is assumed that everyone belongs to one or other of two mutually exclusive communities. Under capitalism all that is possible is a sharing out of political power, and a sharing out of poverty and unemployment… Whilst all sections of the protestant community have been affected by the flag issue it finds its sharpest expression in the most deprived working class areas. The rioting and the road blocks are in part a distorted form of class anger directed at the unionist political establishment represented in the assembly and on the executive. But the problems predate the GFA and indeed the Orange state itself from 1921, although both made a bad situation much worse. It is a complete lie that the ‘two communities’ are equally to blame. In the medieval church that type of argument as it is made above was known as equivocation.xvii And “class anger” my arse. Was it class anger that drove some backward German workers to don Brownshirts and attack Jews? Leon Trotsky said they were the “storm troopers of finance capital” and that is what we are seeing emerging in Belfast. Of course it is a lie that Loyalist anger is directed primarily at the UUP/DUP and the police. However some rioters justified attacking the police because it had too many Catholics (by February 2011, 29.7% of the 7, 200 officers were from the Catholic community). But anger is only directed against all these because they seen as slacking somewhat in their traditional job of discriminating against ‘the Catholics’. In a 1999 review of Loyalists, by Peter Taylor Socialism Today told us that the PUP “initially moved in a socialist direction”. The Socialist party described the neo-fascist uprising that was the Ulster Workers’ Council strike of May 1974 was displaying “the latent power of the working class” in the “interests of the majority of the Protestant population” as they saw it; right or wrong we must respect this prejudice! In October 1974 current PUP leader Billy Hutchinson, murdered Catholics Michael Loughran and Edward Morgan in Northumberland Street, Belfast (which links the Protestant Shankill to the neighbouring Falls Road, a Catholic area). Hutchinson has often stressed the importance of the working class nature of Loyalism and has argued in favour of socialism, he is an atheist and has never been a member of the Orange Order. The SP have always pandered to this neo-Strasserite xviii Loyalist ‘socialism’ – which opposes the rights of the nationalist community – a “socialism of idiots”, as SPD leader August Bebel famously described it c. 1890. The labour movement should be mobilised to force a general election to open the way for the return of a Labour government to implement socialist policies at home and abroad. Victory of a socialist government in Britain would immediately transform the situation in relation to the Falklands. The Junta would no longer be able to claim to be fighting British imperialism. The above passage contains all the reformist repudiation of the Marxist position on the state as well as the gross national chauvinist pro-Imperialism so characteristic of this sect. For instance the “workers in uniform” stuff was explicitly repudiated by Lenin and Trotsky in their writings on the capitalist state as we say above. And as for continuing the war if they were in government that is simply a piece of gross social Imperialism, socialist in name but clearly Imperialist in content to toady to British ruling class interests and placate British middle class and workers’ pro-imperialist prejudices. We recall the pressures of the time (having been assaulted for defending Argentina’s right to the Malvinas) but what good is a Marxist who cannot stand up to the pressures from his or her own ruling class? They are simply playing games. But perhaps they have advanced since those days? Not a bit of it. Now that they are no longer in the British Labour party they can feign well to the left of the IMT/British Socialist Appeal on domestic as well as in international issues. But the essential reformist politics remain the same. They are still for the parliamentary road to socialism only now they are sure the Labour party cannot do it but a more radical, reformist workers party can perform this task and tread the path of the old Communist parties via parliament. This radical party is the Trade Union and Socialist Coalition (TUSC) in Britain and the Workers and Socialist Party (WASP) in South Africa, to name but two. The line is still the same, lacking even the radical posturing of Gerry Healy’s WRP in its strident denunciations of all such reformist ideas whilst cosying up to the reformist Ken Livingstone and defending his sell out of the in 1984 and toadying to Gaddafi, Saddam Hussein and the Ayatollah Khomeini. So a more truthful approach, the ‘revolution’ was won with the assistance of Imperialism. That has sorted out their former comrades in Socialist Appeal but one is left floundering by the idea that the “victory for the Libyan people was also a success for Imperialism.” We know that was what they said on the TV comrades but it was a lie. You cannot advance Imperialism’s victory and the victory of the working class at the same time, they are mutually exclusive, and one must advance at the expense of the other, a ‘zero sum’ rather than a ‘win-win’ situation we would suggest. Of course the use of the word ‘people’ might mean that they accept that capitalists and workers have ultimately the same political and economic interests in faraway lands. But once you pay the first tranche of the protection money the Mafia will always be back for more. The CWI take a similar third campist line on Syria today. This does put them to the left of those like the Alliance for Workers Liberty (who do equivocate, it is true), the Fourth International (Mandel) and Workers Power and the RCIT, who are still batting for their reactionary pro-Imperialist ‘revolution’ abandoned now by the more pragmatic leftists. The Socialist Party/CWI-sponsored NSSN was founded at a conference called by the National Union of Rail, Maritime and Transport Workers (RMT) on July 7, 2007. The proposal to re-establish a shop stewards movement came from an RMT sponsored conference to discuss working class political representation held in January 2006. Its founding conference saw a dispute over Clause 3 of the constitution, which pledged not to interfere in the internal affairs of TUC affiliated unions. This effectively meant that no criticisms were allowed of the left trade union bureaucracy, whose mouth piece it was to become. After four year’s existence it embarked on a new turn. Following a unanimous decision of the steering committee, on 22 January 2011, the NSSN held a conference to discuss launching its own anti-cuts campaign. A motion from a majority on the steering committee proposed establishing an anti-cuts campaign “bringing trade unions and communities together to save all jobs and services”, whilst a minority on the steering committee argued against the motion, opposing setting up an anti-cuts campaign and argued for “working with Coalition of Resistance, Right to Work and other groups, to build and launch a single national anti-cuts organisation early in 2011”. In the debate both sides had equal speakers and shared responsibility for chairing the debate which lasted two and a half hours, with the conference voting 305 to 89 to establish an anti-cuts campaign committee which was elected immediately afterwards. I hereby resign from the Steering Committee of the NSSN because the decisions of the Special Conference of 22 January effectively meant that the NSSN had openly become a front for the left trade union bureaucracy. Such aspirations as it had to represent the independent interests of the rank-and-file of the working class was now totally abandoned. Despite its left posturing on correctly demanding of anti-cuts campaigns no platform for Labour councillors who vote for the cuts the fact is that no national trade union, right or left, has demanded that Labour councillors it sponsors, supports or influences vote against the cuts or refuse to implement them, let alone seeks to mobilise its members for industrial action to defeat the cuts, against Labour Councils where necessary. In fact Unite has explicitly instructed its councillors to set legal budgets to implement the cuts and all other national union leaderships have a similar attitude. Therefore hollow left posturing by the NSSN SP leaders whilst covering up for these left bureaucrats is no opposition at all. The RMT now calls off legally endorsed strikes on “legal advice” that a judge MIGHT grant an injunction! The NSSN, in gaining the support of RMT General Secretary Bob Crow and having RMT President Alex Gordon on the Anti-Cuts Committee means the prospect of endorsing the illegal strike action and occupations now increasingly necessary to fight cuts and privatisation has all-but disappeared from the perspective of the NSSN. I therefore call on all serious trade union militants to build a rank-and-file movement independent of ALL TU bureaucrats and attend the London meeting on April 9th of those who supported Jerry Hicks for Unite General Secretary to found the Grass Roots Left in Unite and encourage such formations in all unions. Non-unite members who agree with the perspective welcome. Details of venue etc to follow. • to refuse a £5,000 donation from the RMT because this would put the NSSN in hock to that union’s leadership. The CWU are now proposing to accept privatisation because it is “illegal” to strike against it and will only seek to mollify some of the worst excesses of the deal afterwards. And Bill Fox and Jane Loftus, CWU Gen Sec and President are still touring to left circuses as part of an anti-cuts and privatisation opposition! Counterfire has no pretence at internal democracy so is a most fruitful arena for reformist demagogs like Tony Benn whose bottom line is the parliamentary road to socialism with the working class as a stage army who will assist in getting Labour governments elected. God forbid that they should do anything to seriously threaten capitalism or even seriously damage ‘the economy’ by any strike longer than one day. There was huge pressure on the shop stewards at Grangemouth following the closure announcement on Wednesday 23 October. More than half of the permanent workforce at the whole Grangemouth site had been told their jobs were gone. The oil refinery was closed. According to Ineos it would remain so, unless the union agreed to huge cuts in workers’ terms and conditions. The possibility of closure enduring was a real one. In addition, the Unite Scottish secretary, Pat Rafferty, supported by the Unite general secretary Len McCluskey, was at that point urging that the union sign up to the company’s demands. It laments more in sorrow than in anger McCluskey’s “mistake”. Then on the 28th on the Sunday Politics show hosted by Andrew Neil Bob Crow said he “takes his hat off” to Unite for saving jobs. On the 29th the Socialist party piece was reposted but “This version of this article was first posted on the Socialist Party website on 25 October 2013 and may vary slightly from the version subsequently printed in The Socialist.” The only difference we noticed was that the words, “supported by the Unite general secretary Len McCluskey” were gone so that it was all down to that nasty Unite Scottish secretary, Pat Rafferty. They really cannot fart now without Bob’s say so. The sell-off of the remaining publicly owned parts of Royal Mail was completed over the last week. This represents the sad passing of the last remaining form of publicly owned communications. Of course genuine revolutionary socialists, trade union militants and fighters for the class are not ‘sad’ at these betrayals at all but hopping mad and even more determined to expose these class traitors and replace them with a genuine revolutionary and fighting leadership. These are the affiliates of the NSSN: National Union of Rail, Maritime and Transport Workers (RMT), Public and Commercial Services Union (PCS), Communication Workers Union (CWU), National Union of Mineworkers (NUM), National Union of Journalists (NUJ), Prison Officers Association (POA), Bakers Food and Allied Workers Union (BFAWU).